This is my first foray into WordPress’ Weekly Photo Challenge. All you have to do is share a photo that depicts what the theme means to you. New themes come out every Friday. This week’s challenge is CONTRAST. The above photo was taken this afternoon. My neighbor has this beautiful tree in her yard. 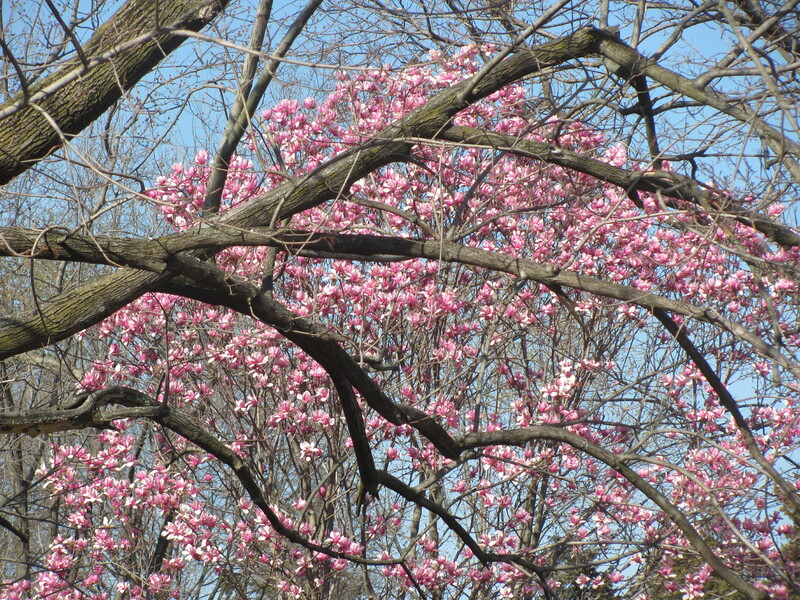 With the unusually warm winter weather we’ve been having, especially this week, the tree is blooming earlier than usual. The view of the beautiful flowers through the branches empty of leaves is to me a beautiful example of CONTRAST. Hope you enjoy the photo! « Guess Who Ainsley Looks Like? Thanks! Loved your submission as well!